The story of 16-month-old Asher Nash went viral earlier this year after the toddler was turned down by a modeling agency in Buford, Georgia. His mother, Meagan Nash, refusing to take no for an answer, shared photos of her son on Facebook to speak out about the incident. She wanted him to at least be considered for an ad campaign for the clothing company OshKosh B’gosh — and her message to raise awareness for kids with special needs, like her son, reached the right audience. “Using people with special needs [in ads] shows the world that these people have value and worth just like any typical person does,” Nash told CBS News. It turns out, OshKosh B’gosh couldn’t agree more. 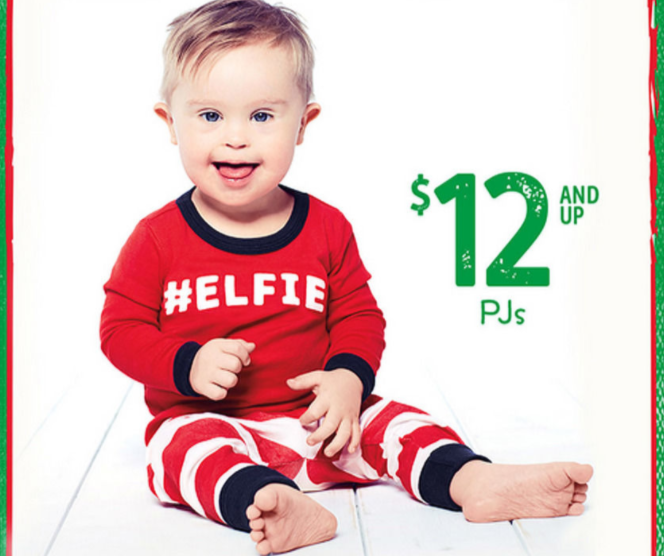 The clothing company invited the little boy to model for their holiday ad this year. Photos from the shoot are now being released, and customers, including Nash, are thrilled. Nash says OshKosh was impressed with her social media campaign and commended her on getting the word out and raising awareness. The 27-year-old Georgia mom hopes Asher will continue to work with Down syndrome organizations and help end the many misconceptions about children who have the condition. The world is changing and so is our perception of people with Down syndrome and other disabilities, Nash explained. Dozens of people have commended OshKosh for featuring the child with the hopes that he won’t be the only one. “Thank you Oshkosh for recognizing our special needs children also have the right to be treated equally, fairly, and with love,” one user commented on a photo of the boy on Facebook. Not only is Nash excited by her child’s success, but she’s hopeful for the future of other children like him. “Children with Down syndrome and all other disabilities are incredible human beings and we want OshKosh to help us change the world’s perception,” she said. Since this has all happened, more opportunities have come up for Asher to work with several brands including, Kids II, Oball, Ingenuity, Toys “R” Us, Safety 1st, Happy Family Brand and Num Num.